Your bathroom should radiate elegance and comfort. These attributes are dictated by personal taste. To achieve them we have to invest in the best toilet seat. 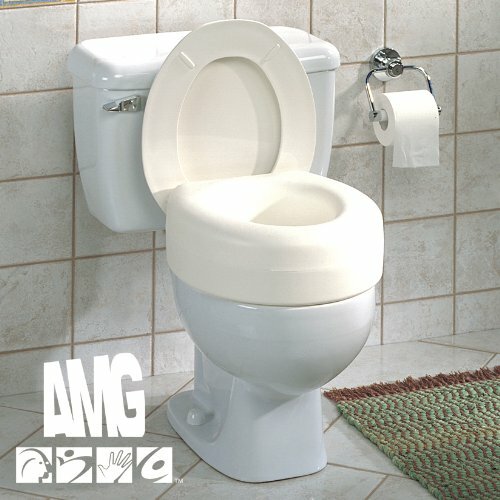 This article reviews five of the best toilet seats in the market. It also outlines what to look for when buying a toilet seat. 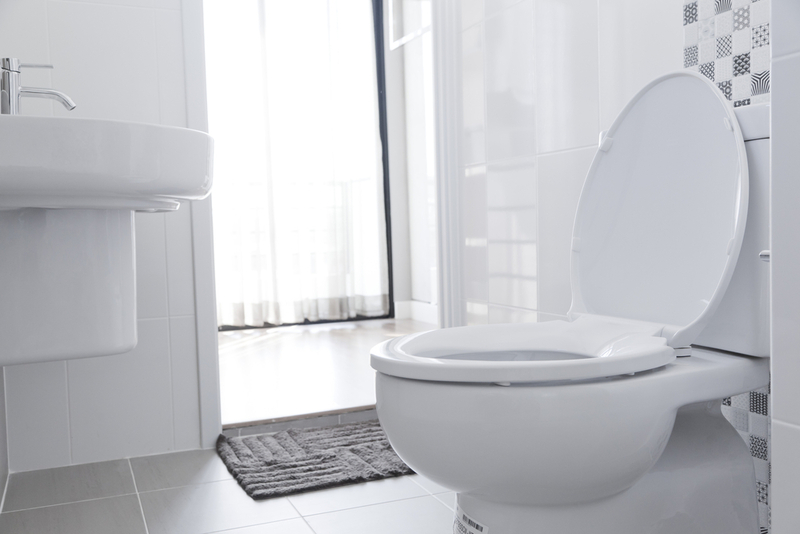 What Are the Benefits of the Best Toilet Seats? 1. Adds elegance to the bathroom – Toilet seats come in various shapes, sizes, colors, and finishes. This gives you a chance to choose one that rhymes with your bathroom décor to create a stylish space. 2. 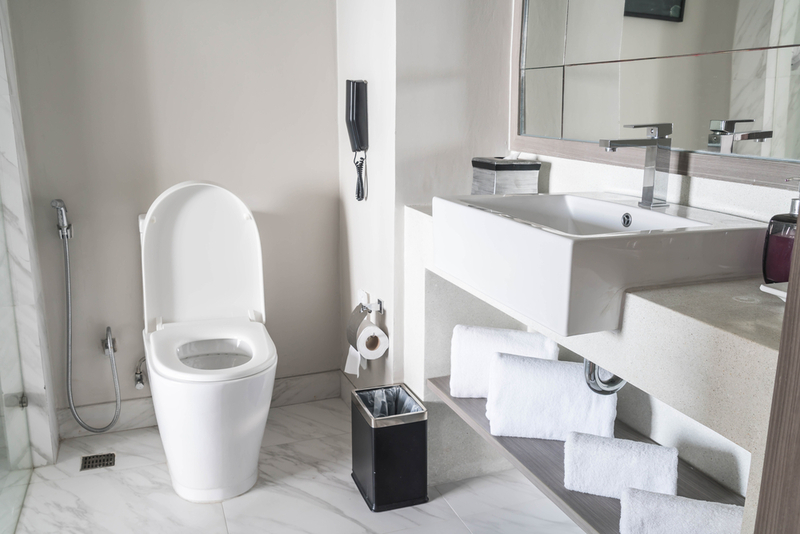 Add comfort – Adding a toilet seat to your bathroom is meant to add extra comfort. Each type of a toilet seat will present comfort in a particular way. For instance, padded toilet seats are more comfortable than unpadded ones. A heated toilet seat keeps you warm in cold days. Raised toilets seats on the other hand are excellent because they are more comfortable and easy to use for those who are aged or physically challenged. 3. Easy cleaning – One of the main advantages of having a toilet seat is the ease of cleaning. These seats are also more hygienic because they prevent germs and bacteria. How Do You Choose the Best Toilet Seat? 1. The material – Put into consideration some factors such as comfort and durability of a toilet seat which is dictated by the material used to make it. Most toilet seats are made from plastic and wood. 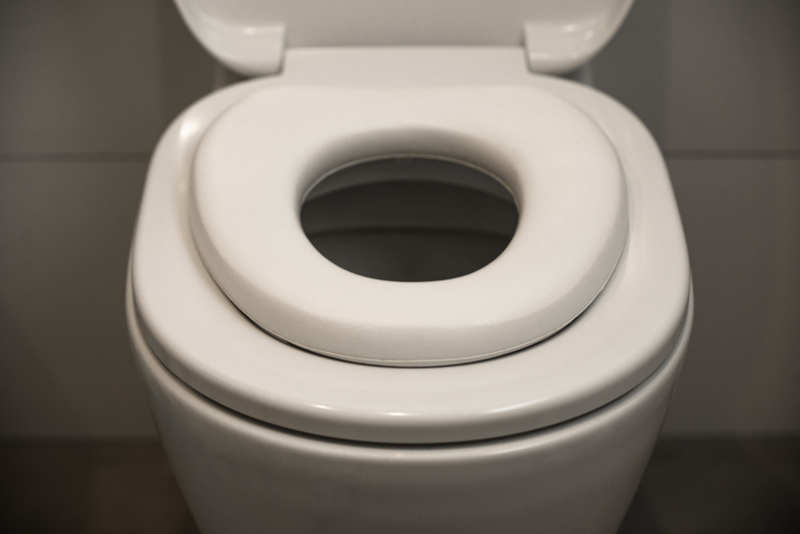 Plastic toilet seats are less expensive and easy to clean compared to wooden ones. However, they wear down easily especially due to heavy usage. They are also prone to scratches and cracks. 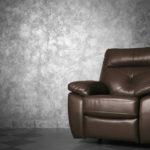 Soft toilet seats are the most comfortable but they are prone to bacteria and germs. 2. The quality of the hinges – The quality of the hinges of a toilet seat will determine how efficient or inefficient it is. Low-quality hinges are not durable and require frequent replacement. Most models of toilet seats are made using plastic hinges which have two points of contact. They are prone to snapping into two every time the seat flexes. The toilet seat will keep slamming down because the hinges are not designed to prevent this. However, certain models have been designed to counter this problem. 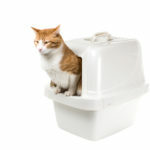 They are fitted with slow closing hinges to reduce the noise and prevent slamming against the toilet bowls. 3. The shape of the toilet seat and the measurements – This is one of the most limiting factors when choosing a toilet seat. The shape of the toilet seat should match that of your toilet bowl. It can either be round or elongated. The dimensions of your toilet seat should also complement with your toilet bowl. Consider the measurements provided by the manufacturer to ensure that your toilet bowl is compatible with the toilet seat that you want to buy. Ensure that the installation screws also fit the bowl or the seat. 4. Additional features – Every model of a toilet seat is characterized by extra features to make it more appealing. These features are meant to add comfort, style, and elegance. They include heated, padded and raised toilet seats. Heated seats are a great for those who live in cold areas. Padded seats are more comfortable than any other type of toilet seat but they can be unhygienic. Decorative toilet seats add style and glamour to your bathroom. For the aged and physically challenged, a raised toilet seat is more comfortable and easy to use. There are some toilet seats that are designed to open and close automatically. 5. Reviews – Read the comments of other users about a particular model of a toilet seat before purchasing it. This should enlighten you about the pros and cons of each model. It will also enable you to make an informed choice. 6. Price – The quality of a toilet seat should match the price. 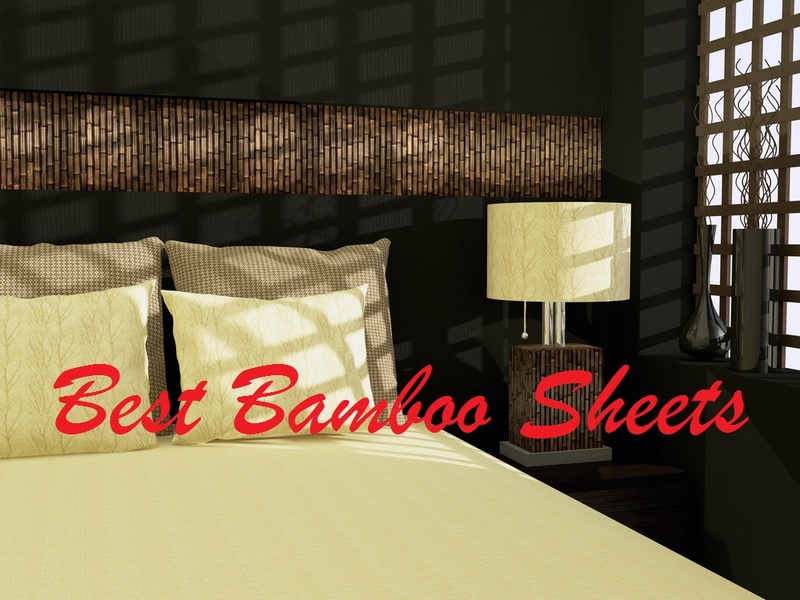 You should also look for one that fits within your budget. 7. Design – Pick a toilet seat that has a design that will suit your bathroom décor. Let it add comfort as well as style and elegance to your bathroom. 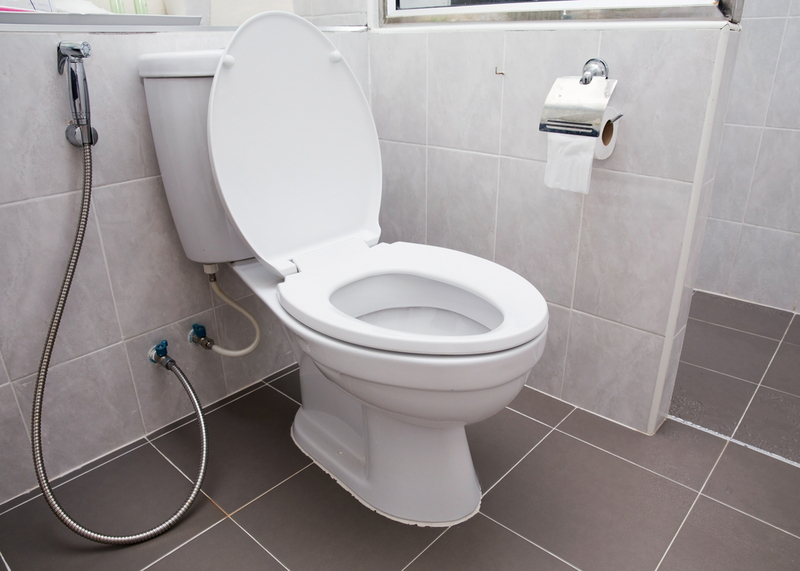 What Are the Basics of Installing A Toilet Seat? Start by cleaning the bowl, rim and the toilet seat that is currently in use. Take off the plastic lids that are covering the bolts. Using an appropriate tool such as a wrench, locate the bolts at the back of the toilet seat and loosen the nuts that are used to hold them in position. Once the nuts have been removed, take out the bolts and the old toilet seat and as well as the lid. Align the holes of the new toilet seat with the bowls of your toilet. Place the bolts in the holes and close the lid and the seat. Thread the new nuts that accompanied your toilet seat onto the bolts. Tighten the nuts with a wrench. 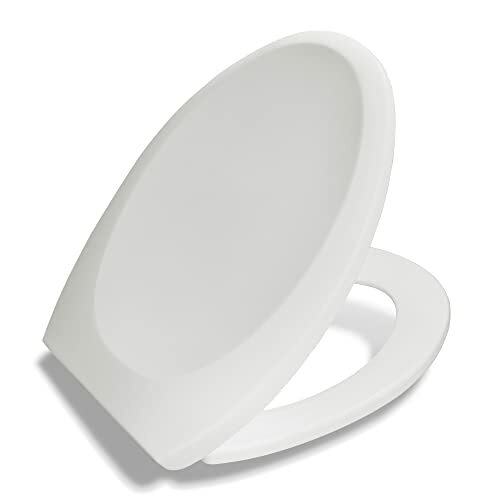 This toilet seat is versatile because it is compatible with most standard round toilet bowls. It can hold a capacity of 400 pounds without cracking, deforming or breaking. The cover is designed with a soft close design which is great to prevent slamming that can result in cracked toilets. It is made from quality polypropylene material which is warmer, comfortable, strong and durable. It is resistant from chemicals and stains. This makes it easy to maintain your toilet seat. It is also easy to install. The high gloss finish enables the seat to look good after a long time of use because it is resistant to scratches and other damages. The color of the seat is solid and it is not likely to peel, fade or chip over time. The decorative caps prevent bad odors and bacteria. It has a 2 years warranty from the manufacturer. The toilet seat is ideal for children, adults, people with back pain and persons with disabilities. This model of a toilet seat features a round design that is compatible with most round toilet bowls. It made from a material that is durable and warm. The fact that this toilet seat is warm makes it very comfortable. 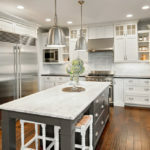 It features a high gloss finish that is great because it is stylish and rhymes with most bathroom decor. It is also resistant to chipping and scratching. This toilet seat is smooth, resistant to stains and has a stable design. It is suitable for commercial and residential use. Furthermore, this toilet seat is easy to install, clean and replace. 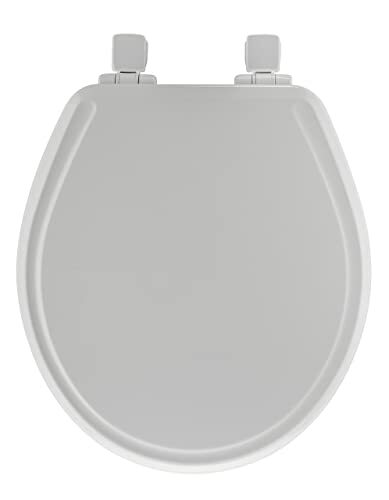 This toilet seat has an elongated design that is compatible with most 1 and 2 piece toilet bowls. It is made from compression wood that is molded. This material makes it durable, comfortable and warm. It also gives it a stylish look. The attractive white finish that resembles plastic adds more elegance to your bathroom. It also features plastic hinges that are made from polypropylene to provide a firm attachment between the toilet and the seat. The color of the hinges matches that of the seat. They are also stain-proof, easy to install and durable. The lid is designed to cover the whole seat. It does not stain or scratch when put into use and has a 1 year warranty from the manufacturer. Some users complain that this seat takes some time before warming up especially in the morning. This toilet seat is compatible with most standard round bowls and it is manufactured with materials that are environmentally friendly. This toilet seat is designed with a soft close design such that the lid lowers slowly to avoid slamming or unnecessary noise after use. It is also designed in a unique system that makes the installation easy and ensures that the toilet seat does not loosen over time. It is made from wood that is molded making it durable. It features a finish that is resistant to scratching, chipping and any other damage. It also has hinges and bumpers that have matching colors. It is easy to clean and replace because the hinges make it possible to uninstall the toilet seat for cleaning or replacement. The white themed design of this toilet seat is great as it gives your bathroom an elegant and stylish look. This toilet seat is suitable for commercial and residential use because it can support heavy loads. Features a finish that is resistant to scratching and chipping. This toilet seat raises your toilet by 4 inches higher than a common one. This makes it suitable for use by individuals of all statures especially taller ones. It is designed to fit most standard toilet bowls hence can be used for both commercial and residential use. 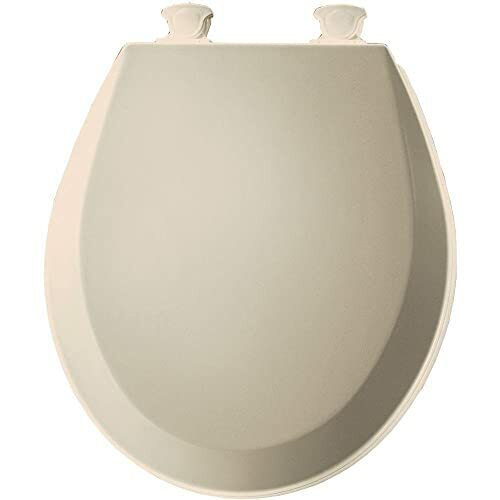 This toilet seat features a polyethylene build which is seamless and easy to clean and maintain. This design also makes it durable and capable of supporting heavy loads of up to 400 pounds. 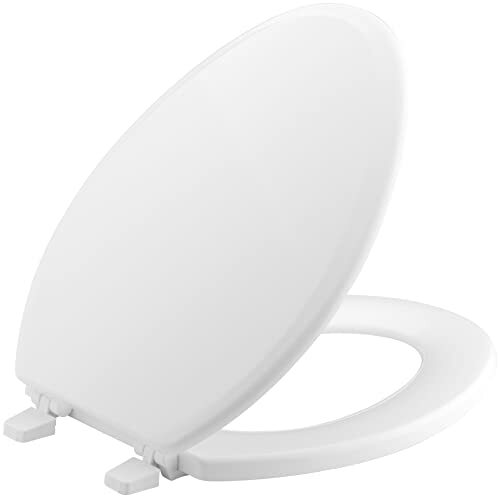 Another great feature is that this toilet seat is light and portable which means you can take it along when traveling. It is also easy to install. All the products reviewed above are great. However, Bath Royale Premium Elongated Toilet Seat is one of the best -rated models in the market. This success is attributed to its great features. It is easy to clean and install. It features a soft close design to prevent slamming after use. It is also versatile because of its compatibility with most toilet bowls. In addition, it is very comfortable and has a finish that is stylish and adds elegance to your bathroom. This toilet seat model can be used by children and adults for residential and commercial use. Does the soft close function on the Bath Royale Premium Elongated Seat slow the closing of both the lid and seat independently? Or does it just slow the seat? Toilet seats come in various shapes, sizes, colors, and finishes. This gives you a chance to choose one that rhymes with your bathroom décor to create a stylish space. I am looking for a SOFT ( padded ) toilet seat with the ( SLOW CLOSE ) feature.